Some collection agencies have been charged with violations of the Fair Debt Collection Practices Act. In fact, I would say all agencies have experienced law suits for such alleged violations. Most of them are from a small number of large law firms specializing in going after agencies. They know there is no need for their suits to be based on any semblance of reality. They know it will cost up to twenty thousand dollars for us to prove we are not guilty. They offer settlements of about half that amount, sometimes even less.The law is poorly defined and constantly changed by judicial interpretations so these Lawyers have a constant supply of vague assertions to use. They cannot shut us down without a trial. They don’t want to, because they will keep sucking the blood from our industry only if we keep alive. Politicians, however, have no such qualms. 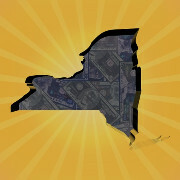 Four Star Resolution is a New York Collection Agency that was charged with violations of the Fair Debt Collection Act. New York determined they didn’t warrant a trial. New York obtained a temporary injunction to close down Four Star Resolution. Based on ‘evidence’ that may or may not hold up in court and which may be subject from everything from a dismissal to serious fines but probably not the closing of the business, they closed it anyway. There was no trial but all assets were seized including the company computer. Nobody was found guilty of anything but the owner’s personal assets were frozen. No evidence was presented to a Judge so it could be refuted yet all company Employees were immediately unemployed. Because the owner’s personal assets were also frozen she had no money to hire an attorney to defend her company whose assets were also frozen. She couldn’t pay any bills or purchase anything. Nothing was proven in Court; Nothing. The State of New York prosecutor now has the ability to shut down a company so completely the owner can’t by a cup of coffee at Starbucks. No trial, just allegations. If they did violate the law they should be punished in accordance with the provisions of the law. Usually such punishment results in fines.If the breaches are serious the fines are very large. If their behavior was absolutely reprehensible and warranted closing the business than that should also be done. Of course, absolutely nothing has been proven in court. If they didn’t violate the law they should not have to pay anything. If they are cleared of all these charges they will have a difficult road ahead of them repairing the enormous damaged caused by New York. This includes damage to the company, the employees, the clients and debtors seeking help they could not get. Despite no trial and no conviction they State of New York put them out of business on February 11, and this, alone, may be enough to kill the business.If the evidence is overwhelming and damming they still denied Four Star their right to a trial. If the evidence is weak and conflicted, which is not uncommon in these cases, they have given themselves the right to inflict pain on anyone they believe is guilty. Their 90 Employees cannot be paid. Their Clients cannot be paid. Consumers who want help with Credit cannot be helped. If we give mass murders a trial, shouldn’t we do the same for Debt Collection Agencies? Violations of the Fair Debt Collections Act are constantly being re-interpreted by Judges across the country and what was legal last week may not be legal now, at least until another Judge rules to the contrary. For example, it is a violation of the act if you don’t have a full 3 second pause between your request that if the person listening to the message is not the debtor to please hang up and your next statement. 2.5 seconds is not good enough. It is a violation of the law if the ‘least sophisticated reader’ cannot understand your letter. That term is so vague it works all the time for any letter. The vast majority of Debt Collection Agencies are courteous and contentious in their dealings with debtors but we all get sued. We deal with it as a part of our industry. Government should not be allowed to shut us down without a trial. It isn’t good for us and it isn’t good for you. Of course, it is probably terrific for politicians.